Today, Finnish mobile phone maker Nokia has announced plans to unveil something new on Wednesday, April 24, although it did not offer specific info on what would be unwrapped. “On Wednesday morning at 7am GMT we will be announcing something new, followed by a Q&A session with Neil Broadley from our Mobile Phones team and a special guest,” Nokia announced in a blog post on Nokia Conversations. 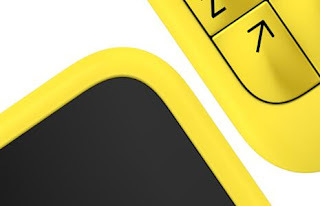 The message was accompanied by a teaser photo, which can be seen above, and which suggests that the company might unveil a QWERTY-enabled smartphone later this week, most probably one included in its already popular Asha series. However, this is mere speculation for the time being, and we’ll have to wait for April 24 to arrive to learn specifics on Nokia’s plans. Stay tuned for more on this.